Note: This product is a professional training equipment for the commercial fitness market. The bike is delivered pre-assembled in a box and the final assembly needs to be done by two persons (approx. 30 to 40min). The Life Fitness Indoor Bike IC4 Powered By ICG combines innovative design with high-quality, mechanical components. This premium bike allows for an almost maintenance-free use thanks to its belt drive and magnetic brake system and offers you an optimal cycling experience. Get a cycling feeling at home with this indoor cycle. All indoor cycles of Life Fitness by ICG are developed according to latest, sport-scientific knowledge and offer many advantages for cyclists. The diversified adjusting possibilities of handlebar and saddle provide a very good individual adjusting for every user. The Unisex brand saddle ensures a perfect sitting comfort for longer training sessions. The handlebar's design with many grip varieties and ergonomic end caps increase the comfort and you can have an ideal liquid supply during your training thanks to the integrated, dual cup holder. The built-in materials are especially designed for the enormous load and resist optimally even high resistances and cadences. At the same time, you benefit from the perfect concentric run of the Life Fitness Indoor Bike IC4 Powered By ICG. The drive is done via a Poly-V belt, which resists extreme loads and provides you a maintenance-low training with the Life Fitness Indoor Bike IC4 Powered By ICG for many years. 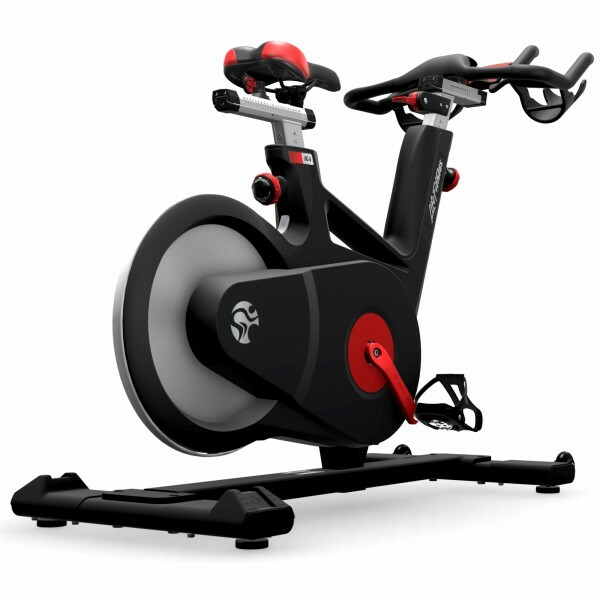 The Life Fitness Indoor Bike IC4 Powered By ICG is ideal for the classic beginner or the ambitious leisure sportsman. Life Fitness Indoor Bike IC4 Powered By ICG add to comparison list.